Each month, CAA’s Committee on Women in the Arts produces a curated list, called CWA Picks, of recommended exhibitions and events related to feminist art and scholarship from North America and around the world. Three CWA Picks for October 2010 focus on Washington, DC, where the first annual Feminist Art History Conference, called “Continuing the Legacy: Honoring the Work of Norma Broude and Mary D. Garrard,” takes place at American University in early November. The free event has an October 22 registration deadline, so sign up now. 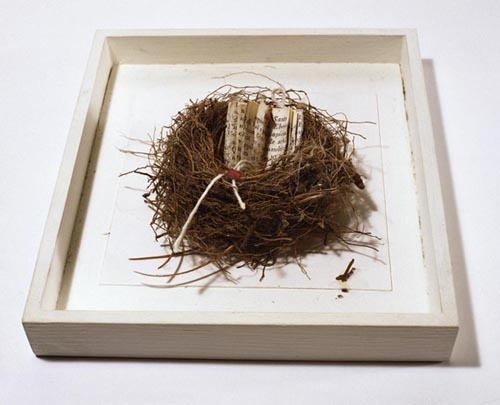 If you’re in our nation’s capitol, two exhibitions are worth checking out: Loïs Mailou Jones: A Life in Vibrant Color and Books without Words: The Visual Poetry of Elisabetta Gut, both at the National Museum of Women in the Arts. Check out past CWA Picks archived at the bottom of the page, as exhibitions highlighted in previous months are often still on view.